Today, the 2018 men's NCAA basketball tournament begins in earnest with first-round contests. 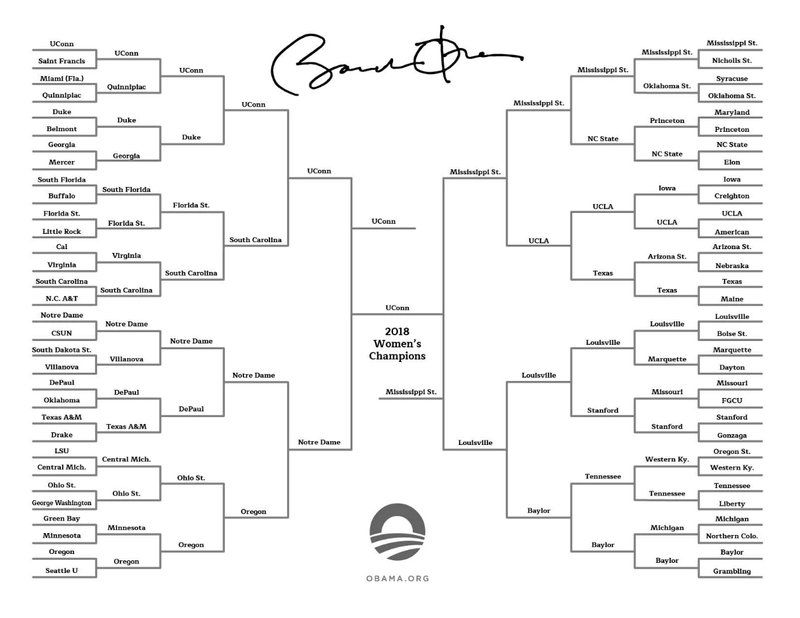 As per tradition, President Obama makes his picks just before the tourney starts. Posted above is President Obama’s 2018 NCAA Tournament bracket. 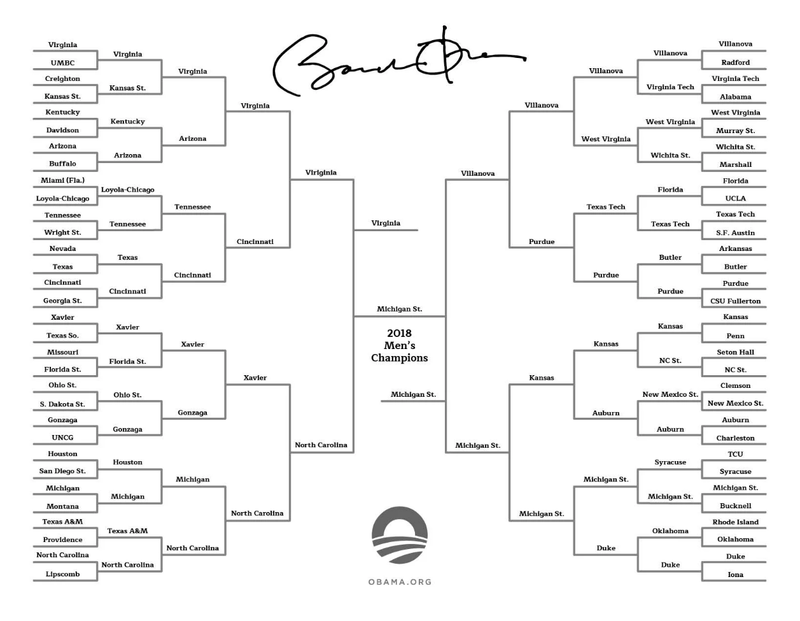 Obama’s NCAA Womens’ bracket posted below.